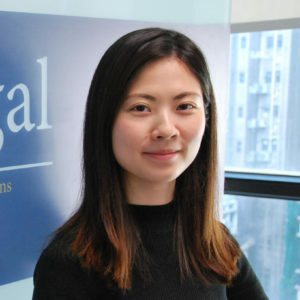 Trained in business administration and management, Yuly specialises in intellectual property, particularly registering for trademark and industrial design in Hong Kong, and advising on worldwide registration, trading as well as licensing. She has registered worldwide trademark and design for a cigarette brand, among others. She is also a professional company secretary with secretarial experience for a Hong Kong subsidiary of a Shanghai-listed company.